Are you looking for an efficient and reliable Citroen service Melbourne drivers recommend? Then look no further than European Vehicle Services, with over 20 years of experience as an independent car service specialist. We keep the cost as low as possible, which helps us stand out against other services by being a cheap but quality choice. 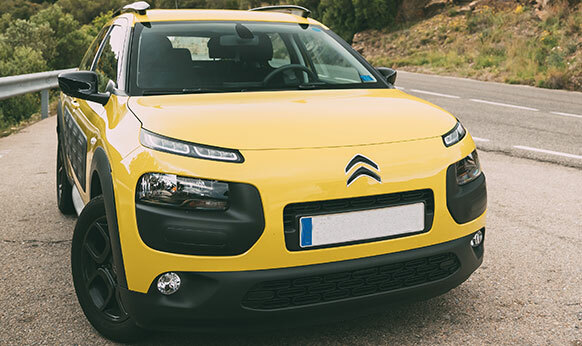 By using only official Citroen parts and equipment, you can trust that your vehicle will run smoothly and efficiently after being serviced by us. We are proud of the reputation earned over the years by providing a quality service at the best price, giving you value for money and great experience with us. It’s why many of our customers across Melbourne return to us for car repairs or their next service. Our team, located in North Melbourne but available across the city, are constantly learning about Citroen’s vehicles; the design, engine specification and new updates to make sure we can always provide the most relevant and best advice and techniques to keep your car on the road. We have the best diagnostics and testing equipment available to find any issues that may be affecting your performance and we understand how much your vehicle means to you, so you can expect an eye for detail and careful hands during any work. We supply the best Citroen service in Melbourne, but our experts can also help with Audi, BMW, Jaguar, Renault, Volkswagen, Land Rover, Saab, MG, Porsche, Alfa, Mercedes, Volvo, Peugeot, Triumph and Skoda. Contact us today to speak to an expert Citroen mechanic in Melbourne and find out how we can help. Have you been searching for reliable and affordable “Citroen mechanics in Melbourne near me” who can give your vehicle the care and attention it deserves? Thanks to our thorough and personalised Citroen service Melbourne motorists can breathe easy every time they get behind the wheel thanks to European Vehicle Services. From our modern auto care centre our dedicated mechanics can complete high-quality and low-cost car servicing and repairs perfect for the make and model of the vehicle. To keep your vehicle in the best condition possible give our experts a call on 03 9329 7559.